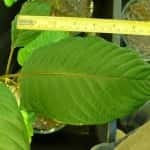 Is Mitragyna Javanica A Real Alternative To Kratom? The legal uncertainty around the use of kratom has driven some users to experiment with the related plant Mitragyna Javanica. As a horticultural cousin to Mitragyna Speciosa extract, the tree from which all kratom products are made, the Javanica tree is more rare and remains unproven for broad modern use. Is this mystery plant as potent as traditional kratom and worth experimenting with? A comparison of chemistry, effects, and availability will be necessary. Here is what we know so far. On the surface, the Mitragyna Javanica plant looks visually similar to the well-known Mitragyna Speciosa tree. Both are tall and sturdy, with abundant broad-faced leaves. But inside each leaf, there are dramatic differences. We are still compiling hundreds of years of anecdotal reports with the latest scientific research into how kratom is structured and works. For now, we do know that it is rich in the naturally occurring alkaloid mitragynine. This compound is suspected to be responsible for many of kratom’s health-enhancing, mood-lifting effects. Javanica, on the other hand, does not contain this alkaloid. Instead, it has a related substance called mitrajavine. It contains the alkaloids of the C(9)-H closed E ring normal-pseudo sequence and some alkaloids in the C(9)-OCH 3 closed E ring normal-pseudo sequence. It also contains large amounts of 3-isoajmalicine, as opposed to the dominant alkaloid ajmalicine found in kratom. If this information sounds confusing, you’re not alone. There have been almost no pharmacological reports prepared on this version of the Mitragyna plant, so very few people have been able to study its chemical composition and apply that info to subject areas that directly impact the common user. The real questions on everyone’s minds are, is it effective? And how do its benefits compare to those of kratom? 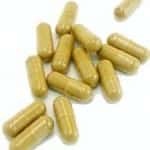 Are Mitragyna Javanica Effects Stronger or Weaker Than Kratom? Unfortunately, this somewhat related plant has not been show to be as strong or effective as kratom. Again, use has not been widespread, so there are not many user reports to consult. But the reason it has not become more popular seems to be that its effects are considered far weaker than similar herbal remedies. 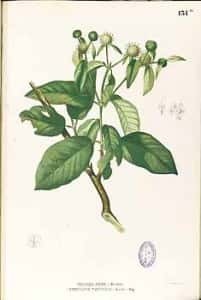 At comparable doses, Javanica produced less dramatic and noticeable stress relief and euphoria, was not as potent a pain killer, and did not seem to last nearly as long as traditional kratom. We do not know why. Many theorize that it is the exact combination of over 40 alkaloids in kratom that are able to produce its legendary effects. Altering the natural formula even by a few “ingredients” seems to drastically alter efficacy for the worse. And due to its lack of ajmalicine, thought responsible for kratom’s ability to lower blood pressure and remove stress, Javanica cannot have the same relaxing properties. Mitragyna Javanica is legal, and this is perhaps its main benefit to some users in Southeast Asia. As has been well-documented, the infamous Thailand kratom ban of 1943 imposed severe penalties against planting, selling, or consuming the kratom tree. While this law is impractical, and rarely enforced with the insanely disproportionate penalties that have been assigned to it (including the death penalty), it has still understandably inspired some users to look for alternatives. It is too bad for these users that a viable alternative does not seem to grow wild. However, for most people in the world, kratom remains 100% legal, safe, affordable, and accessible. 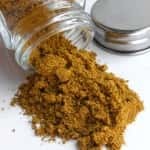 Given the proven efficacy and safety of kratom, legal in more than 90 percent of the nations on Earth, there is little reason to dabble in less effective plant remedies that attempt to achieve the same effects without much success. 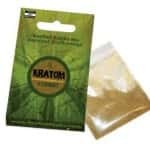 You can easily find a broad range of kratom products at reputable online vendors, no matter what home country you hail from. Trusted and popular sites like Arena Ethnobotanicals and Bouncing Bear Botanicals provide consumers with the real thing – high quality kratom powders, extracts, and liquid tinctures straight from the source – the stunning and biodiverse jungles of Southeast Asia. With offices in the U.S., sites like these handle the hassle of importing and customs so you don’t have to, often shipping on the same day. 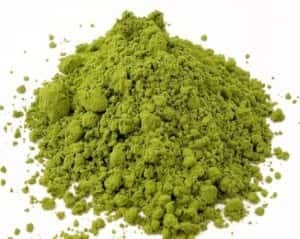 If high quality kratom was not available legally and quickly, we would be more inclined to recommend trying out a “cousin” herb like Mitragyna Javanica. As is, there is no reason to compromise benefits and strength on a less potent plant.